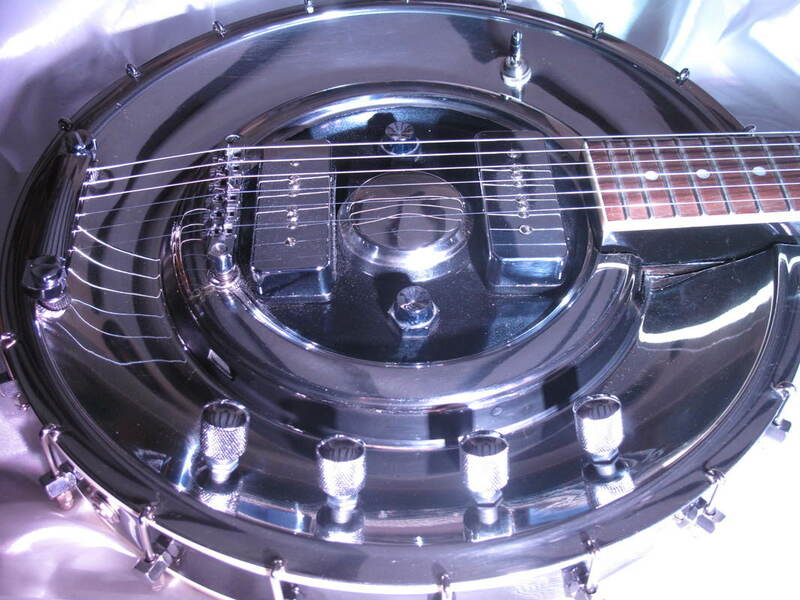 This General Motors hubcap was bought from an autojumble sale, and has the perfect profile to become a guitar. The ribs are made of oak and it is powered by mellow 7.5k and 10k "soapbar" humbucking pickups with a Gibson-style tunomatic bridge and a rosewood shortscale fretboard. 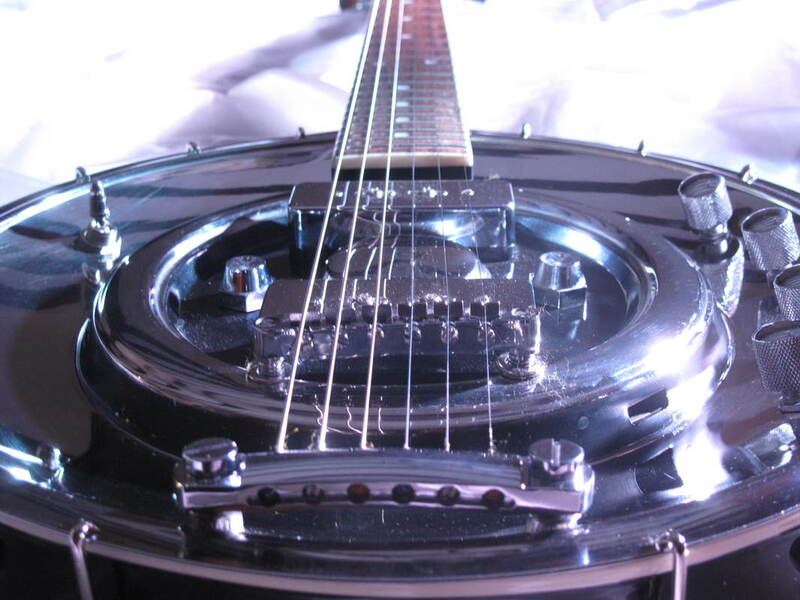 It is a rare instance of a hubcap which allows for a bridge pickup in addition to the usual neck position. 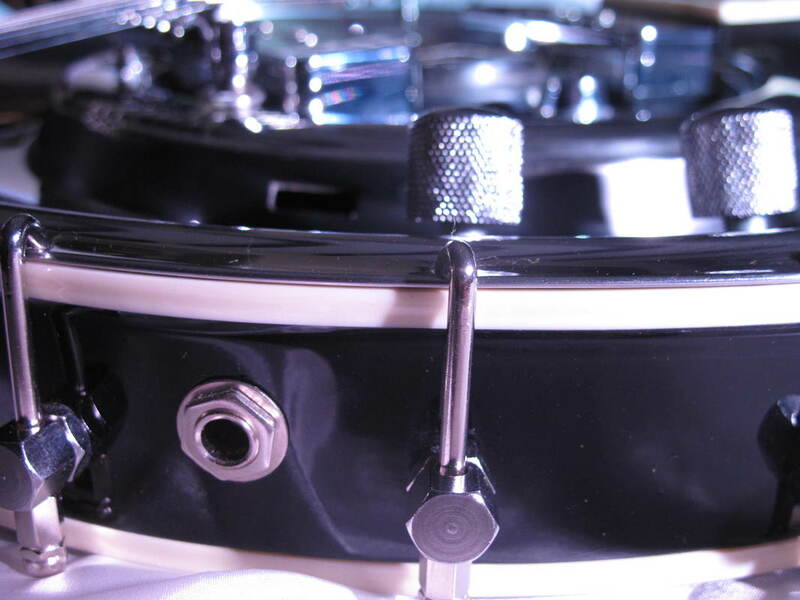 ​Technical specifications can be found here. Click here and here to hear it.